Brandy 2 seater sofa gives all of the comfort you need with style to boot! The large scale provides plenty of room for the family and seat cushions for worry-free lounging. The sleek metal design, plush seating, the belt design over arms bestow great elegance. 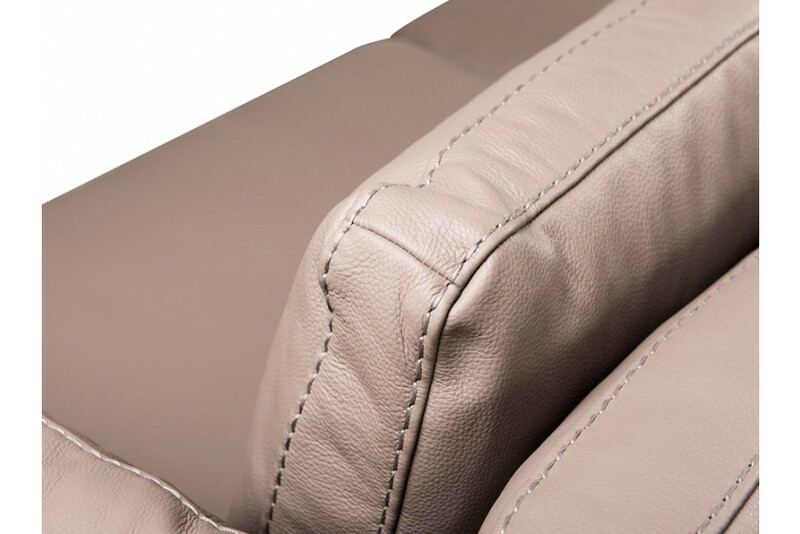 Brandy luxury Italian sofa is designed with leather upholstery that sets upon metal base. Brandy features clean-lined shapes that harmonize with the softness of the padding for a surprising aesthetic effect. The low seat adds comfort and pleasantness to the design. It is a gorgeous sofa with a classic inspiration, ideal for decorating spaces.